Reaching the Far Corners with Facebook Video. Get a strong head start on Facebook video campaigns with these best practices. As Facebook positions itself as a new leader in video, Facebook video campaigns are a great way to gain new followers, engagement and interaction. Some of the Facebook’s biggest fan pages have made the switch from hosting their video content on YouTube to hosting it on Facebook, and for good reason. Facebook rewards pages that use its own tools in the News Feed algorithm. Facebook videos are the only videos that auto-play, a powerful advantage over videos hosted elsewhere. Many pages have found the increased engagement dramatic enough to start consistently hosting videos on Facebook. That’s right. Facebook video posts get 1 billion views every day. Jump into Facebook video and enjoy increased engagement on your posts. Here are tips to optimize these ever-popular video campaigns. Before filming your content, it’s worth going over Facebook’s recommended guidelines so that you can create the best original file possible. The two main guidelines? One, film your video in HD. Two, Facebook doesn’t support videos longer than 25 minutes long, so you won’t be able to upload anything longer than that. Be sure to edit any longer videos down. As with any social media campaign, video campaigns should feature a simple, strong call-to-action so that viewers are equipped to share and give your campaign traction. One example is the ALS Ice Bucket Challenge. This campaign is cited over and over again as an example—the Ice Bucket Challenge is one of the most successful viral video campaigns to date. One reason for this is because the campaign featured a very strong CTA: once you are tagged in someone’s video, you film yourself getting iced, then pass your own video forward and nominate new people by tagging friends in your post. The Ice Bucket Challenge inspired a whole new style of video sharing: nomination campaigns. It creates a trail of shared content with no end in sight. Our recent case study with the on-demand video platform Viewster points to a very valuable best practice: shorter video works better on social. Each year, Viewster hosts the largest online film festival in the world, the VOFF. Viewster’s audience is teased into the film festival from social with trailers and clips, and Viewster is able to quickly realize what kinds of video content works best across their social channels. Across the board, fans were much more engaged with the shorter videos. Use all the available features that Facebook allows in a post to make your content stand out in the News Feed—but don’t clutter your messaging. Use the text area to your advantage. Just like in photo posts, a shorter amount of text works better than longer text. Make sure your video content is provocative even without sound. Users who scroll through the Facebook News Feed will first encounter rolling videos on mute. Only if the user clicks on the content will it start to play the video’s actual sound. In the MasterChef Junior example cited above, Gordon Ramsay gets hit in the face with a pie a few seconds into the clip. This kind of provocative content makes more viewers click through to watch with sound (if watching foul-mouthed Gordon Ramsay get creamed with desserts by a bunch of screaming children in a stunning display of retribution is your thing). Take note: the kids-dumping-stuff-on-Gordon hook has been used across the show’s advertising, after finding that’s what viewers loved so much in the show’s first season. No wonder they chose this clip for the video post, and no wonder this is the page’s best performing video. The post works into the show’s overall unified advertising strategy. After posting a few videos, take a look at the engagement and reach across the posts to see what has been working the best for you organically. If you choose to spend some money promoting your video content, you’ll be able to see what has worked well already and amplify the best posts. Choose a video that has worked well with your followers, one that contains the strongest iteration of your CTA. Advertise this post supported by a variety of text and targeted audiences. Make sure to build out your video tab (now with a new look). Facebook is positioning itself as a destination for video-hosting as much as possible. Recently, the network rolled out a more attractive Videos tab for fan pages. You can pin a video to the top as a “Featured Video.” Use this to your advantage by creating a hub of videos that are instantly attractive to your audience. You could even create posts that lead fans to the tab, so they can pick and choose which videos they’d like to watch in that instance. Will Facebook videos ever be one-on-one? With Facebook video advertising growing fiercely, imagine how advanced it will be a year or so from now. Combine the most advanced targeting ever possible with the most engaging post type possible. Will I be greeted with MasterChef Junior clips that only feature my favorite cast member (which would be Oona, of course)? Will FOX know which episodes I watched already, and only promote links to the unwatched episodes? Even the filming of the video will shift to meet the newly drilled-down, segmented audiences. What’s to stop pages from shooting video content to make the experience as unique as possible? With increased pressure on content creators, perhaps there will be a demand for more user-generated video content, and pages will curate and edit these videos to fit into the page’s messaging. Facebook tells fan pages to “post raw videos that are compelling, shareable, clips that no one else will have,” meaning basically, can you fit in to the News Feed by acting like our user base? One thing is for certain: as Facebook is clearly interested in making its network the go-to destination for video content, and rewarding video posts with increased engagement, now is the time to dive head-first into video campaigns. Creating a social media strategy. 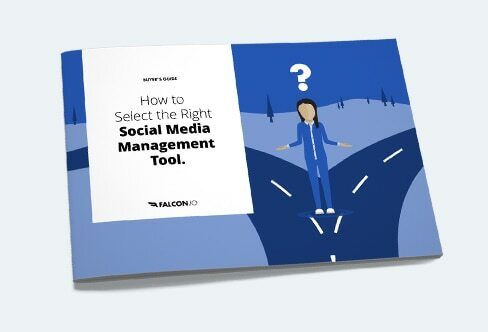 Learn how the power tool manufacturer created their social media strategy.